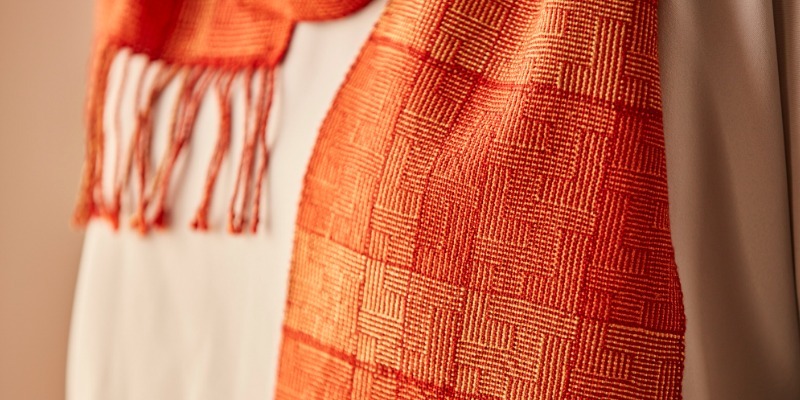 Nancy Rimsha’s Geometric Shadow-Weave Scarf. Although I purchased 1000(+) Patterns in 4, 6, and 8 Harness Shadow Weaves by Marian Powell several years ago, I never really looked at it except to browse through the photos of finished designs. The drafts seemed impossible to understand because they were written in a different notation than any draft I had ever seen. I wasn’t particularly intrigued by shadow weave because its patterns were usually rendered in highly contrasting shades that didn’t appeal to me, although I had marked for future consideration a couple of shadow-weave projects from Handwoven that used alternating colors of less contrast. For these reasons, I wasn’t overly enthusiastic when the Weave Structures group chose to study shadow weave. However, I plunged in, using one of the Handwoven projects I had been attracted to. I wove a sample that experimented with colors and was intrigued by the interplay of colors and the pattern variations possible by changing the treadling. 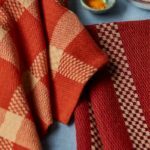 I found a geometric pattern on www.handweaving.net by searching for shadow weave. After weaving a couple of samples, I settled on a treadling that gave me the scale of geometric design I wanted. I used color changes and subtle thicker lines of weft between some of the color areas to break up the design and avoid an allover grid. EQUIPMENT: 8-shaft loom, 9″ weaving width; 10-dent heddle; 3 shuttles; 3 bobbins. OTHER SUPPLIES: Matching sewing thread. 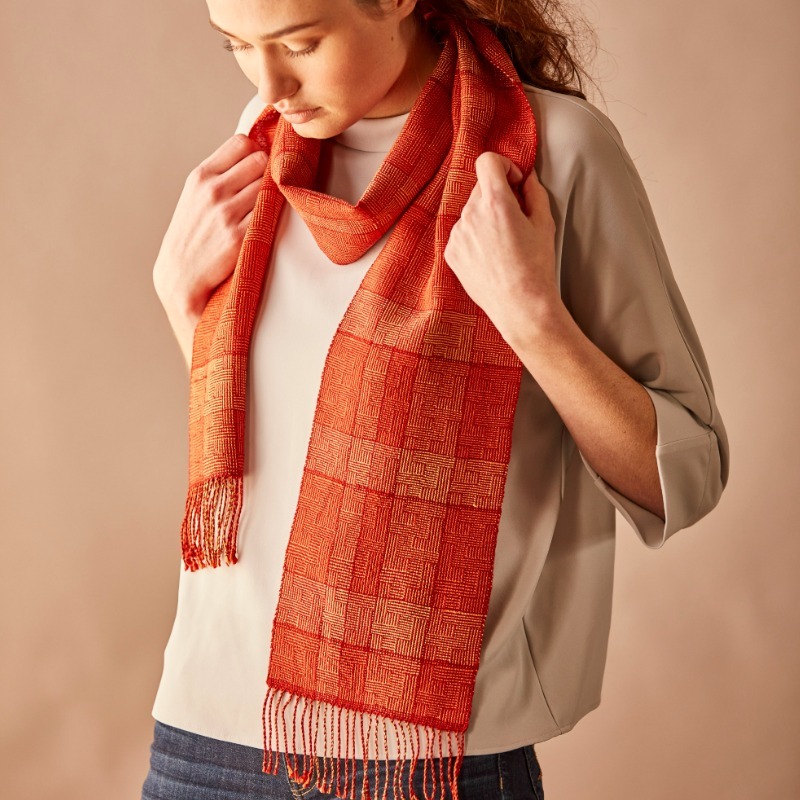 Featured Image: Nancy Rimsha’s Geometric Shadow-Weave Scarf features simple, subtle design choices that create a complex pattern.